As you take stock of the successes, pitfalls, and mistakes made in 2018, the new year is the best time to brush up on the basics and become a better investor. As we enter the new year, here are some common mistakes most investors tend to make throughout the investing process - ie, when picking, buying, holding and selling stocks. Most mistakes investors make are due to their own biases which keep them from making rational decisions. These biases are psychological - they are basically 'hard wired' into us as humans, and in many cases are very helpful in making decisions. In investing however, they often lead us to poor decisions and loss of returns. Take the time today to become aware of the mistakes you might have made in the last year, and the biases you may carry. Understanding them can lead to better investing decisions, prepare you for greater wealth in 2019. Richa – Editor of our small cap stock recommendation service – Hidden Treasure – has identified 4 small caps which have SOLID business models…immense growth potential…and are available at deep discounts from their real worth. In other words, a small caps which have the potential to become the Blue Chips of tomorrow. Below are some of these biases, how they work, and most importantly, how you can avoid them. 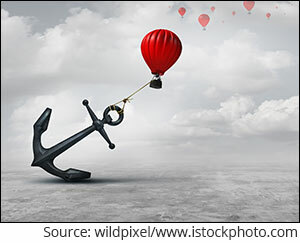 Anchoring Bias: Most people are over reliant on the first piece of information they come across. For example, paying Rs 1,000 for jeans with a 50% discount on a rack rate of Rs 2,000 may look like a steal, even when it might be available for still 20% lower at a store next door. Most often, in stock investing, anchoring bias is based on past stock price. For instance, you may not want to buy a stock at Rs 100 if you know it has traded at Rs 80 last week... Even if the real value of the stock is Rs 200...and the stock may never correct back to Rs 80. To overcome this bias - forget about past price, and always think only about the current valuation of the stock. Choice-Supportive Bias: When you choose something, you have a natural affinity towards it and tend to feel positive about it, even when it has its flaws. For example, you still believe your own dog is the best - even if it bites people every once in a while. This leads to 'marrying a stock', that is holding on to your choice despite all the fundamental negatives, and ignoring newer information. To overcome this bias, think about your stocks as though you are investing in them for the first time - with 'fresh eyes'. Ask yourself, would you choose to buy the same stock today? Ostrich Effect: The ostrich effect takes the choice bias further. 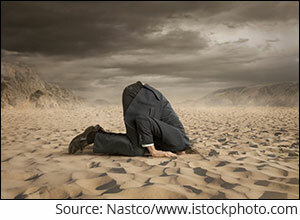 It is to ignore dangerous or negative information by 'burying' one's head in the sand, like an ostrich. While you don't have to keep checking on how your stocks are doing every single day, choosing to ignore vital information about the business can prove disastrous. So, make sure to stay updated on the big moves the businesses you have invested in are making, what it means for them, and then make a decision whether you will act or not. 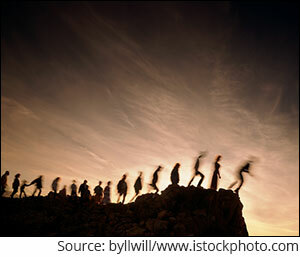 Bandwagon Effect: The bandwagon effect is essentially groupthink, i.e. blindly following what others are doing because it seems to be working for them. The probability of one person adopting a belief increases based on the number of people who hold that belief. Is your conviction about a particular stock higher when your broker, your neighbour, your best friend, and everyone you know, is buying it? That's the bandwagon effect in play. Sure, you don't have to be a contrarian about every single decision you take, but following the herd without doing your own research, will lead you to holding falling knife rather than anything else. Complexity Bias: Simply put, it is the belief that complex solutions are better than simple ones, or to say complex businesses are better than simpler ones. While complex businesses have a lot going for them, it does not necessarily make them better than simpler ones. In fact, great investors really focus on 'simple' businesses which they understand. Warren Buffet calls it his 'circle of competence' and has been quite disciplined in staying within it. Your 'circle of competence' would comprise all the businesses that you are familiar with and thoroughly understand. Confirmation Bias: We tend to pay attention only to information that confirms our preconceived notions. Once we have a notion in our head, we tend to selectively look for evidence supporting the notion. As they say, first impressions are the most lasting. Confirmation bias causes no harm if the initial notion or impression is correct. However, if it is wrong, the bias prevents us from realising our error quickly. One way to avoid being suckered into confirmation bias is to constantly question yourself, and play devil's advocate to try and look for conflicting evidence. Recency Bias: This is the tendency to weigh-in the latest information more heavily than older data. If you look at a stock, which has been going down for a few days, you tend to believe that the particular stock is not a good one. However, only when you look at the long-term trend, you realise that this is but a mere blip in the stock's life. The opposite holds true as well. You see a stock outperforming, only to realise the rally was short-lived and unsustainable. Recency bias can make you miss out on good stocks, or lead to losses by jumping on to unsustainable ideas. Richa Agarwal – Editor of our small cap stock recommendation service – Hidden Treasure – has identified 4 small cap stocks which have SOLID business models… immense growth potential… and are available at deep discounts from their real worth. In other words, small caps which have the potential to become the "Blue Chips of Tomorrow." For a very limited time, a small number of readers could get these 4 Junior Blue Chips virtually FREE. Think you haven't fallen prey to any of these yet? That's very impressive. However, there are a few more biases that I haven't even addressed yet... in the next part coming tomorrow, I will show you a few more of these biases and there's one among them that is definitely costing you money. Keeping an eye on these common mistakes and understanding your own biases can help you become a better investor in 2019. And when it actually comes to picking stocks, you always have my recommendations for that - check out my list of 4 small cap stocks that are set to profit from the market crash in the rebound. Stay tuned for part two of common investing biases - coming up tomorrow! 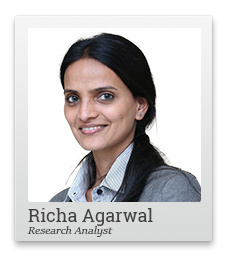 PS: For the right kind of in-depth bias-free research and recommendations, get Richa's market-beating small cap service by clicking here. Equitymaster requests your view! Post a comment on "15 Mistakes to Avoid to Make a Killing in the Markets". Click here! 1 Responses to "15 Mistakes to Avoid to Make a Killing in the Markets"